Kabila said during his speech that his time in the SADC was a challenge, but essential for aiding the DRC in working towards unity and peace. 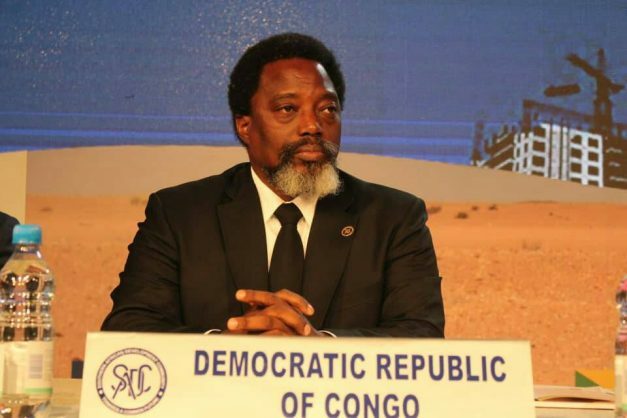 Democratic Republic of Congo (DRC) President Joseph Kabila announced his departure from the Southern African Development Community (SADC) during the official opening of the 38th Ordinary Summit of Heads of State and Government in Windhoek, Lusaka Times reports. Kabila said during his speech that his time in the SADC was a challenge, but essential for aiding the DRC in working towards unity and peace, reports the article. “We in the DRC in the last 20 years have been active in pushing the SADC agenda. Rest assured in the active participation of the Democratic Republic of the Congo in consolidating that agenda through infrastructure development and youth empowerment,” he said at the summit. “Be steadfast, be strong. Never forget the past as far as our region is concerned, don’t begane on the principles of SADC, and lastly, stay focussed on the mission,” read his parting words. Kabila ended speculation last week by announcing he would not seek re-election. He also warned outsiders against using “blackmail’ in DRC’s politics, AFP reports. “What we have rejected over these past two years is any kind of imposition, or any kind of blackmail as far as the electoral process is concerned,” Kabila said in a speech to the SADC on Friday. “We will continue to be steadfast and be very much alert on this particular issue as we prepare for the upcoming elections by the end of this year,” Kabila said.